Happy Wednesday!! It's All That Scraps Wednesday Challenge reminder today, and I'm still in the mood for more Halloween treats! 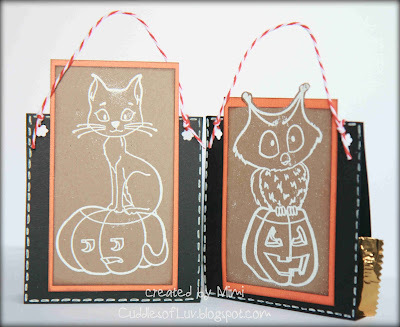 Using two images from Sweet November Pumpkin Fun set (click here to see the third), I made some real simple, quick and easy treat holders. But as you can see, it wasn't that easy for me on the embossing! LOL! It didn't turn out too clean, but used them anyways cause they are too cute to throw out! Guess I need more practice on embossing! and maybe watch a quick "how-to" video would help! hahaa! This little candy tote was pretty easy to make. Just a few pieces of scrap paper, punch two sets of holes (or you can use eyelets), and add a piece of twine. The candy can slip in and out pretty easily, so add a small glue dot to secure it. Take a moment to visit the ATS Challenge blog to see more inspiration from the team, and if you haven't checked out the new October release from ATS! and you still have until Oct. 9th to play along our "Anything Goes" Challenge!! cute treats! 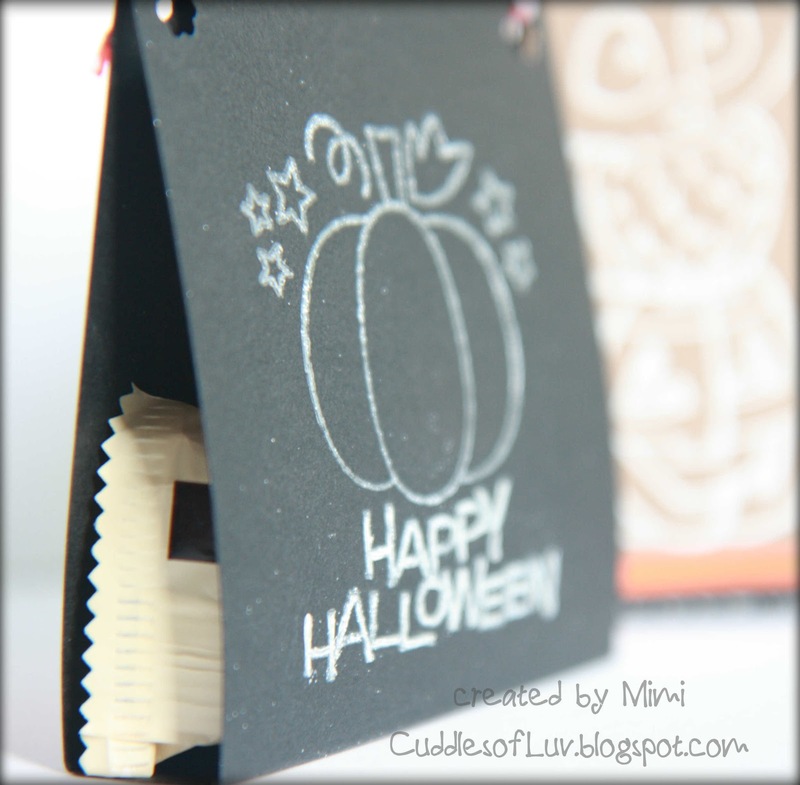 i think the imperfect embossing fits nicely with halloween! still looks great! Such a cute treat idea! TFS! these are so cute, love your great designs. These are cool!! Girl you are so full of ideas, thanks for sharing them all.